Staying in the city this weekend? 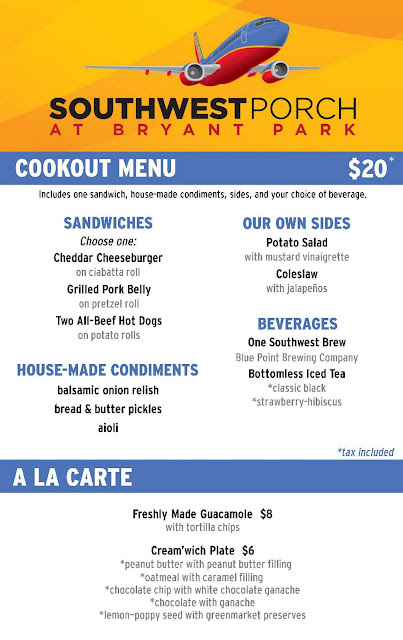 Kick back with a cookout at The Southwest Porch. 'wichcraft recently introduced Sunday Cookouts celebrating the classic taste of summer. In honor of the holiday weekend, you'll have chances on both Sunday and Monday to try the new offerings. Stop by anytime between 12pm and 7pm for food off the grill. Take your pick of choices shown below, prop your feet up on a stool, and soak in the summer weather, which has finally decided to join us in New York City. 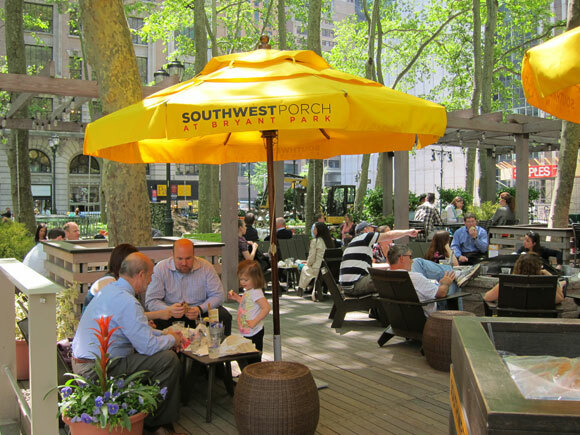 Southwest Porch will host cookouts, live music performances and game nights each week this summer.